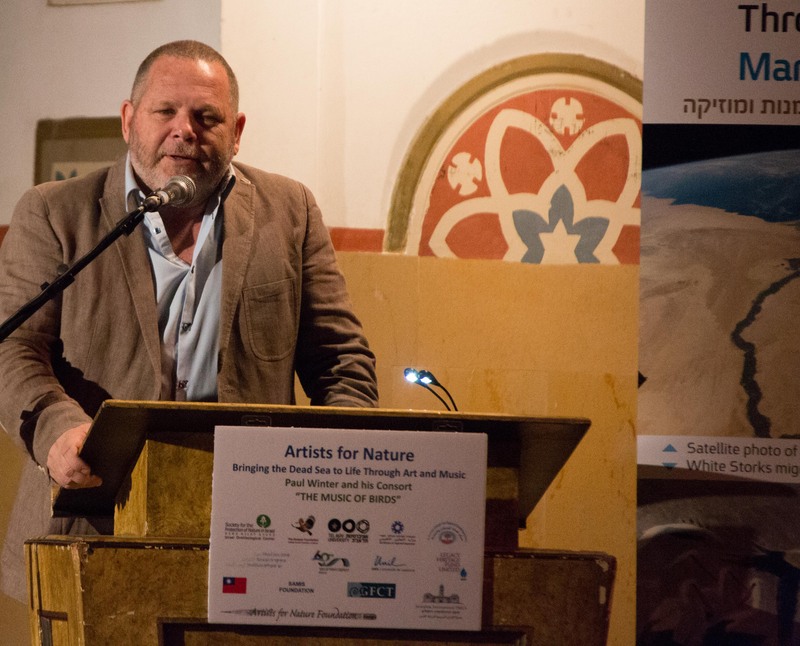 I’m working on an international project in Israel, Palestine and Jordan – looking at the ecological crisis facing the Dead Sea with 25 other international artists. 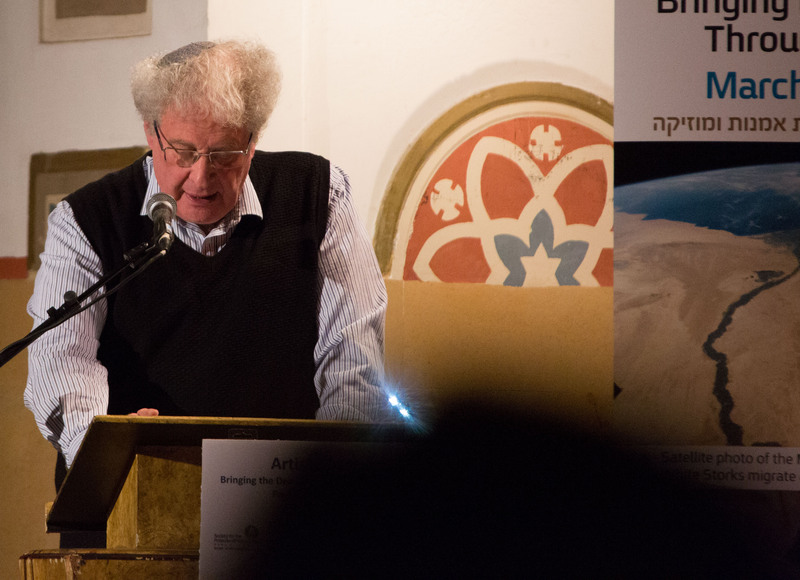 Please find a link to a downloadable catalogue of the Dead Sea project here. The rest of the artists arrive in Ben Gurion Airport after travelling from many corners of the globe. 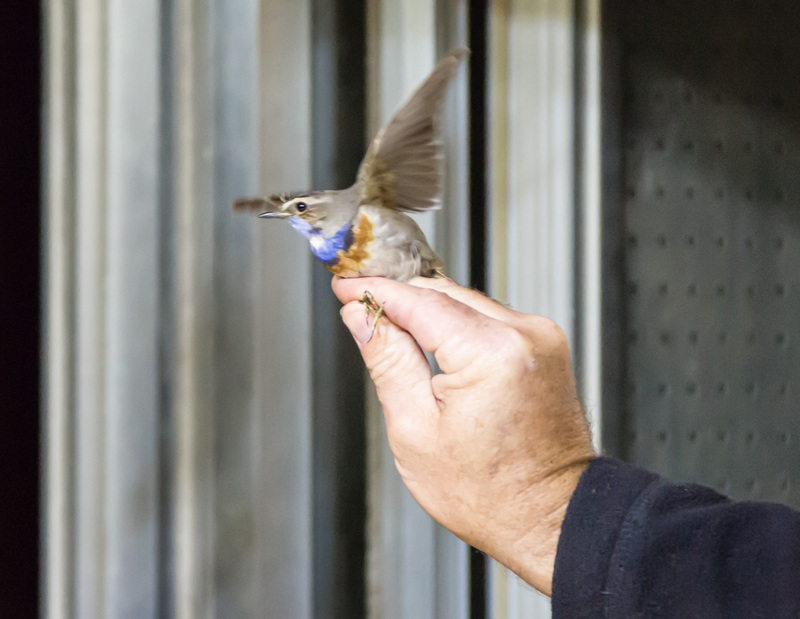 The first stop for them in a packed schedule is the Israeli Bird Ringing Center (IBRC) which is part of the Society for the Protection of Nature in Israel and based in the Jerusalem Bird Observatory . A Blackcap (the commonest migrant in Israel) and a Blue throat amongst other species obliged us all with their presence in the nets. Apparently, according to IRBC manager, Dr Gideon Perlman, this little chap is a bit of a celebrity with local birders and must enjoy the attention, as he regularly flies in for a visit! You should pop and see him and the excellent gallery exhibitions and feather collections. After a very welcome supper, next stop Jerusalem International YMCA for the launch of the project followed by a concert by Paul Winter (seven times Grammy Award recipient) and his consort. 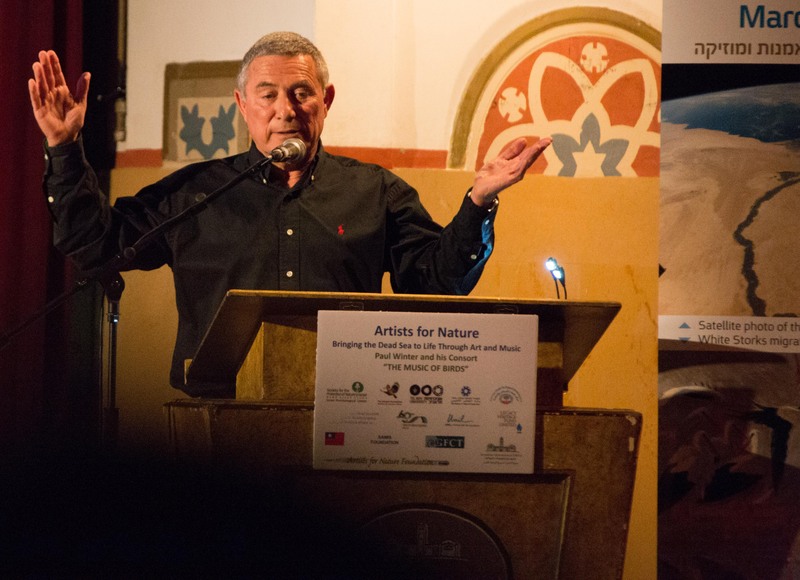 This was a sell-out evening, and deservedly so, with 620 people attending. Common threads running through the opening speeches, gained through research, conservational experience, experimentation and innovation were the need for swift, collaborative action between the Dead sea countries to find a solution or a range of solutions to the water-based threats the Dead Sea and the Jordan River face, and resultant threats to the environment, nature and people. 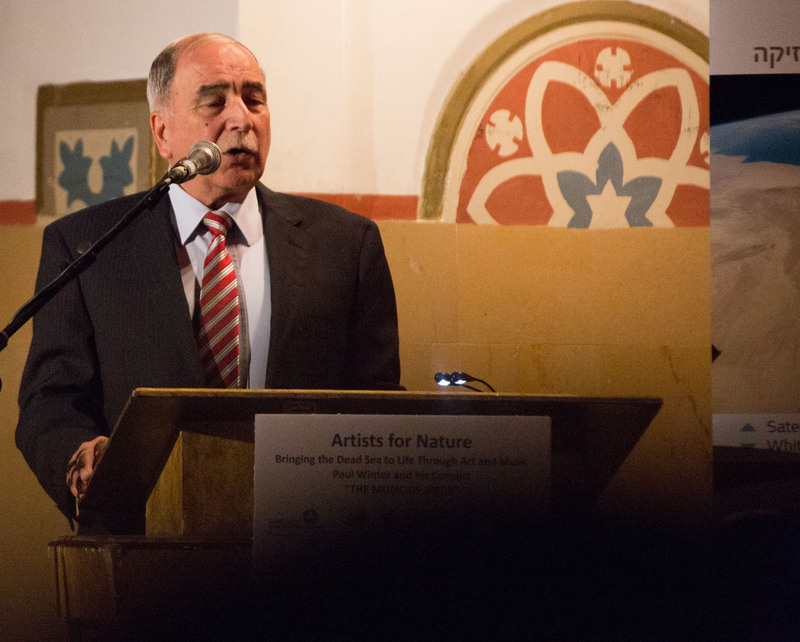 ‘The Music of the Birds’ concert followed, (with music written by Paul Winter) in a new program inspired by beautiful bird songs from the extensive archives of bird recordings gathered since beginning to work on Paul’s new composition “Flyways” in 2005, celebrating bird migration and music of the countries along the Great Rift Valley. 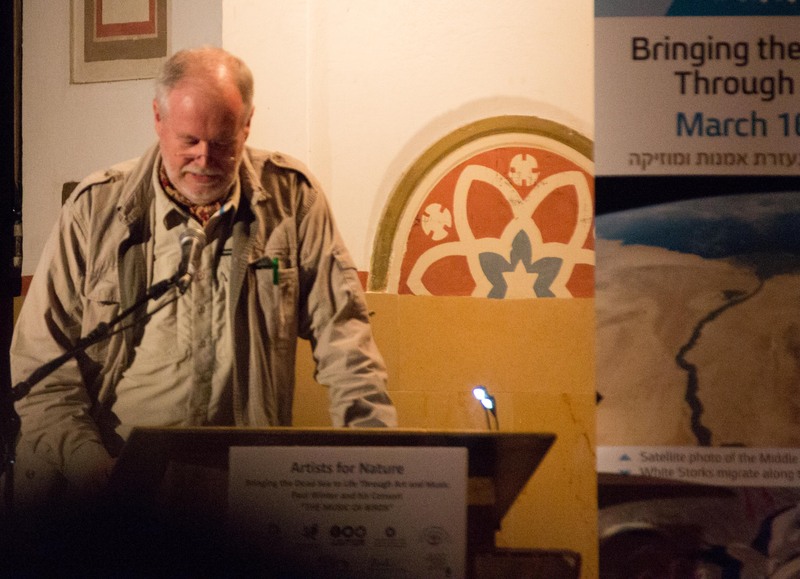 Paul talked about his experience of being invited by Yossi Leshem to take an unforgettable soaring flight in a plane amidst the migrating birds of the Great Rift Valley.